IMN is excited to host the 4th Annual Investors' Conference on Online Lending, November 2 in New York City. As the online lending industry continues to expand its ABS aspirations in terms of volume and variety of assets, platforms will need to ensure stable and diverse sources of funding to maintain this growth amongst an ever-growing FinTech landscape. With credit growth rising approximately 8% year-over-year, a robust and liquid secondary market for these loans is essential to establish, including longer-dated structured products beyond securitizations. From whole loan portfolio sales, banks unveiling new digital lending strategies, to securitization and the potential for a broker-driven secondary market, this conference will explore efforts underway to ensure a resilient securitization market for the online lending long-term game plan. Any long-term and new entrants looking to solidify their funding strategy must attend to learn about secondary market developments, and to meet with investors serious about deploying large amounts of critical capital into the sector. 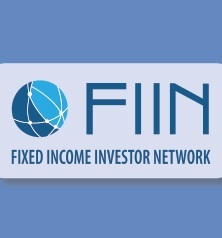 Any investor seeking a lower risk, higher yielding fixed income investment opportunity must attend in order to learn more about emerging best practices and standards, latest concepts in bank partnerships, and the various types of assets funded. We will also explore the fluid landscape of regulations directed at the online lending sector, and the impact of operating a business in these frameworks.